Perhaps one of the most difficult things to handle as a parent is a child’s emotional and behavioral outbursts. They can be incredibly embarrassing when out in public and they can be downright frustrating even when they occur away from prying eyes. It is hard to discern what exactly causes tantrums as they can often be a result of a mixture of things. Since small children are limited in many ways, such as language and communication, they may not be able to properly voice how they feel and why they feel that way, or be able to tell you what they need or what they need to say. This can be incredibly challenging for children to handle, especially when there are other factors that may be at work as well. Each child is different, so there really is no “one size fits all” tantrum solution, but if you do what you can to meet your child’s needs, even if they are not or cannot fully express these needs, you may be able to lessen the likelihood of a tantrum occurring. Do you ever find that you are particularly grumpy when you are hungry/thirsty/sleepy/uncomfortable? The same goes for children. Small children may not yet be able to identify these urges and feelings at their age and may not readily communicate when they need a snack, let alone a nap. Making sure that you have backup snacks and water can help the chances of a tantrum, especially since hunger can be a trigger for a tantrum in the first place. When it’s time for playtime to end or if it’s approaching bed time, give your kids a 5 minute warning of the change so that it will not come as a surprise. Kids don’t like to see good things come to an end, especially if that good thing happens to be fun. Telling your child that play time is over, or it is time for bed may trigger an outburst if it is too sudden. If its bedtime, then their tiredness may make them more agitated and more likely to act out. If you give them time to think about switching gears and wind down, this is less likely to happen. Change can be difficult for small children to adjust to, so sticking to a family routine can help kids transition from one activity to another. If they are used to a certain way of doing things, announcing bed time or bath time may not be as big of a hassle. It does help to have some flexibility, too, however, since some kids may also react negatively if there happens to be a significant schedule change. When a child begins to express discontent, help them find the words that they need in order to express their feelings. 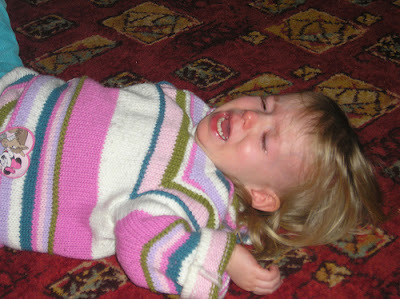 Some kids begin to throw tantrums because they cannot properly communicate how they feel or why they feel that way. Sitting down quietly and listening to your child can help far more than simply telling them to stop behaving badly or to be still or quiet. It can also help kids find the right words to express their thoughts and feelings in the future so they feel less confused and frustrated. Some children act out in order to get their parent’s attention. Sometimes this is due to a problem that they may be having in other parts of their lives such as school or with friends, but sometimes tantrums come out of the simple desire to get their parents’ attention – and it may not always be in the most productive way, either. Since kids are still learning how to interact with others and how to use words and language to express their inner feelings and emotions, causing a fuss may seem like the most logical solution to them at the time. But if you pay attention to how much time you are spending with your kids, then you may find that an adjustment may need to be made. Quality family time can also help teach kids how to form meaningful and friendly bonds with others. When it comes to what they want for lunch or what they want to wear, giving a child too many choices may actually only end up hurting rather than helping. Since kids are still learning how to rationalize, having too many options can easily overwhelm them. Give your kids a choice of two or three things so that they are still able to make choices but in a way that might be easier for them to handle. Sometimes, parents can see a tantrum coming on and in some situations the best thing may be to distract your child and help them switch gears. If you see that they are becoming overstimulated, then diverting their attention to something else can help calm them down and give them something different to occupy their time with.